In Chinese, names for days of the week are based on a simple numerical sequence. The word for ‘week’ is followed by a number indicating the day: ‘Monday’ is literally ‘week one’, ‘Tuesday’ is ‘week two’, etc. A week is a 星期, literally a “star period”. Sunday is slightly different, giving us two choices: 星期日 and 星期天. There are two other ways to express weeks and days, they are 周(zhōu) and 礼拜(lǐ bài). Both of these have the day number appended in the same way as for 星期. For weekend, we say 周末 (zhōu mò). Hi Min Min! I was just wondering, is the ‘期’ in ‘星期’ suppose to be pronounced in the 1st tone or 2nd tone? 期 should be pronounced as 1st tone, qī. I am Priyanka from India. I am learning Chinese. I have some doubt while making sentence. will you able to help me out? via E-mail. or Skype . 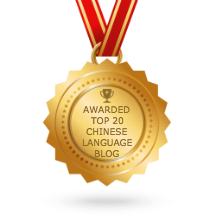 Hope this will help you to more understand about Chinese sentence. Hello, could you please explain what is the difference between 星期 and 周 and礼拜? I understand from this article that 星期 is most commonly used but how about the other ones? Hello, could you please let me know how to translate “days of the week” into Chinese-Mandarin please. Thank you for your help!